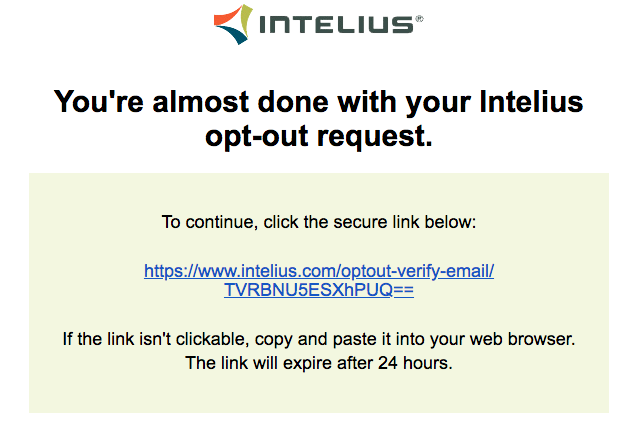 Removing yourself from Intelius requires you to fill out an opt-out form and verify your email address. Your listing should be removed within 72 hours. Intelius is a data broker website that crawls the web, aggregating information and compiling it into listings. 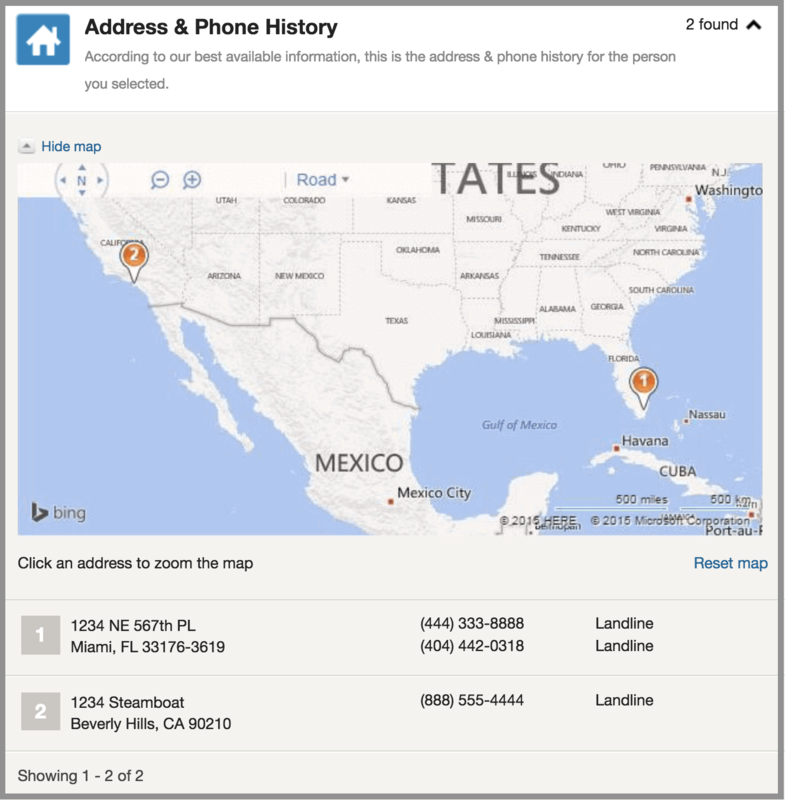 Like other data broker sites, Intelius presents itself as a site to help people find long-lost friends and relatives. Still, having your information made available online might not be in your interest. 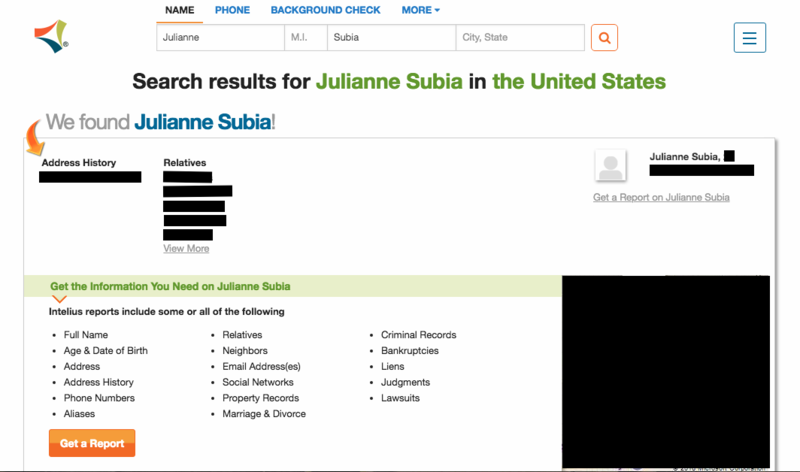 As you can see, they advertise having full contact information, and possibly relatives’ names. This is the kind of information that people look for when they are looking for a target to take advantage of. 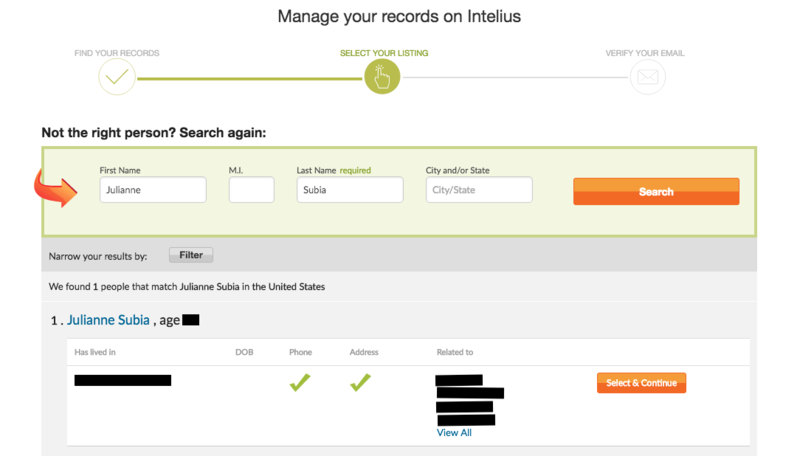 Intelius also owns other data broker sites; including DateCheck, PeopleLookUp, US Search, and ZabaSearch. This means that if your information is posted on Intelius, it’s probably also posted on all of their affiliate sites. What kind of information do they have? Here is what I found when I searched for myself on Intelius. This was all available for free. 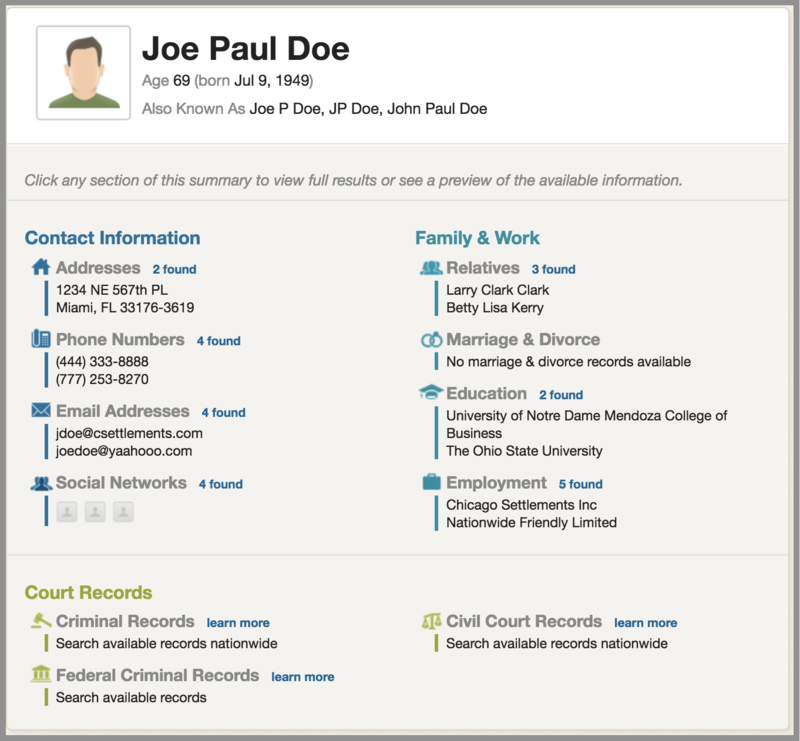 Intelius crawls the web for publicly available information from government records, social media, and other public databases. 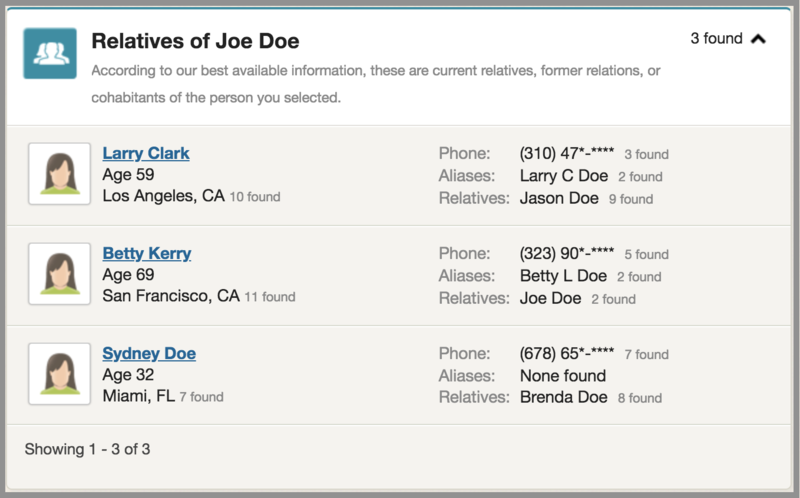 When searching on Intelius, I found my age, address, phone number, and relatives’ names. Unfortunately, it is legal for Intelius to put all of this online. 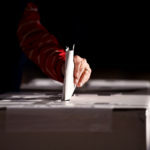 Go to their opt-out website, http://intelius.com/optout, and search for your listing. Find your listing and click “select and continue”. 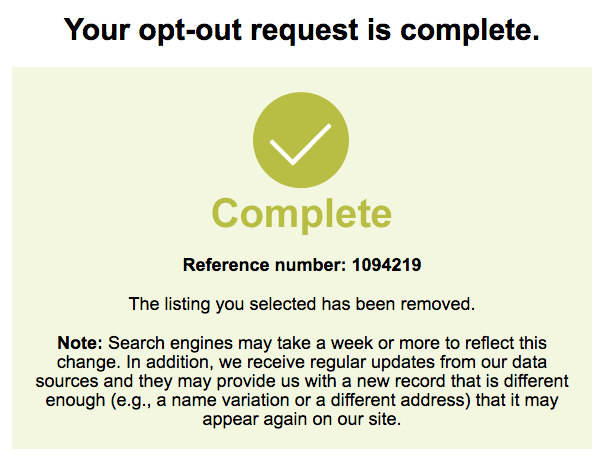 You will have to enter your email address to verify your opt-out request. Enter your email address (we recommend using a masked email), perform the CAPTCHA, and click “continue”. You will be shown a page saying that a verification link was sent to your email. Open your email and click on the verification link that was sent to you. 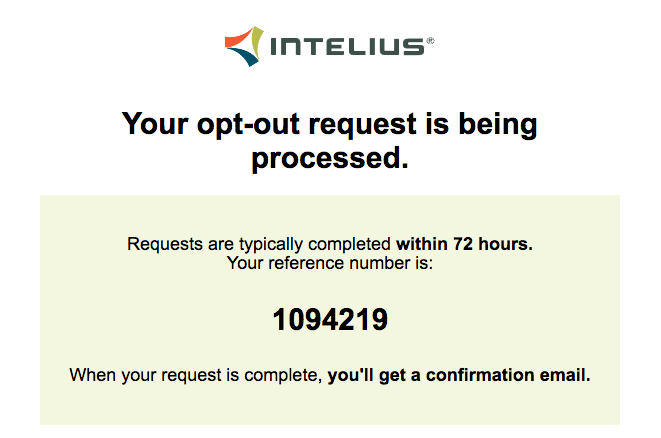 You will be redirected back to the Intelius page, confirming that your request was successfully submitted. Next, you will get an email that your request is being processed. Wait for the final confirmation email. You should get this within 72 hours. 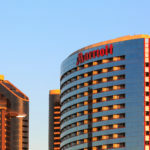 Although your listing should be removed from Intelius within 72 hours, you should check to make sure that it was also removed from their affiliated sites. 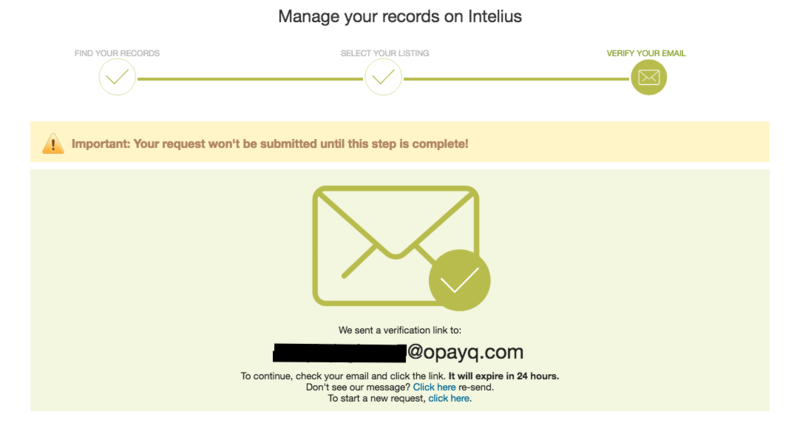 Also, Intelius might re-collect your personal information as it crawls the web, and build a new listing for you. So, it’s good to keep checking up on the site, and make sure your listing hasn’t resurfaced. 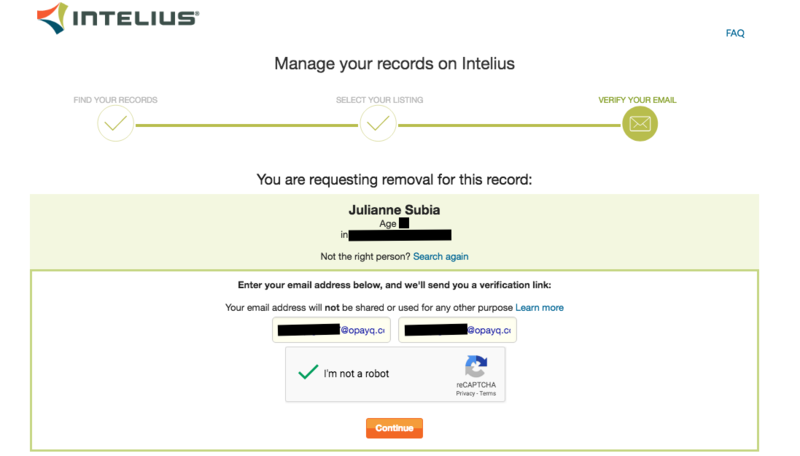 Finally, removing yourself from Intelius doesn’t remove you from the many other data broker sites out there, such as Whitepages or MyLife, so you will need to opt-out of those as well. It’s hard work to keep data broker sites from posting this information. That’s why we created DeleteMe. 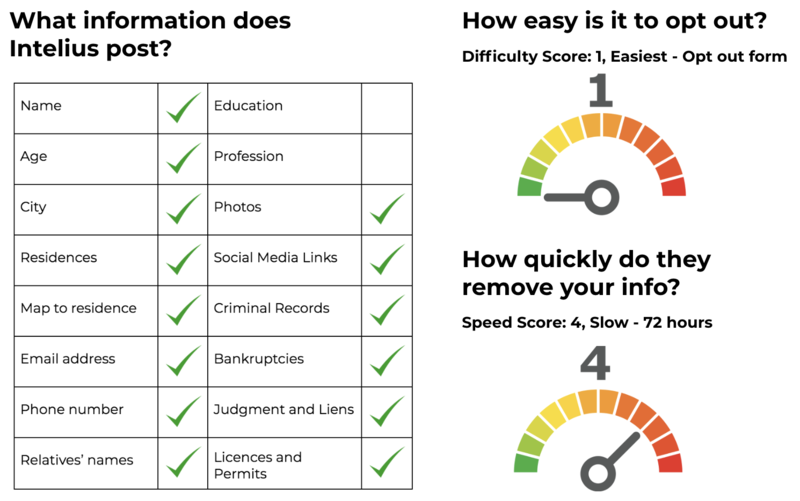 DeleteMe does the tough work of removing your private information from these kinds of websites. Plus, DeleteMe monitors for your information year-round, and sends you a report every four months to keep you protected.